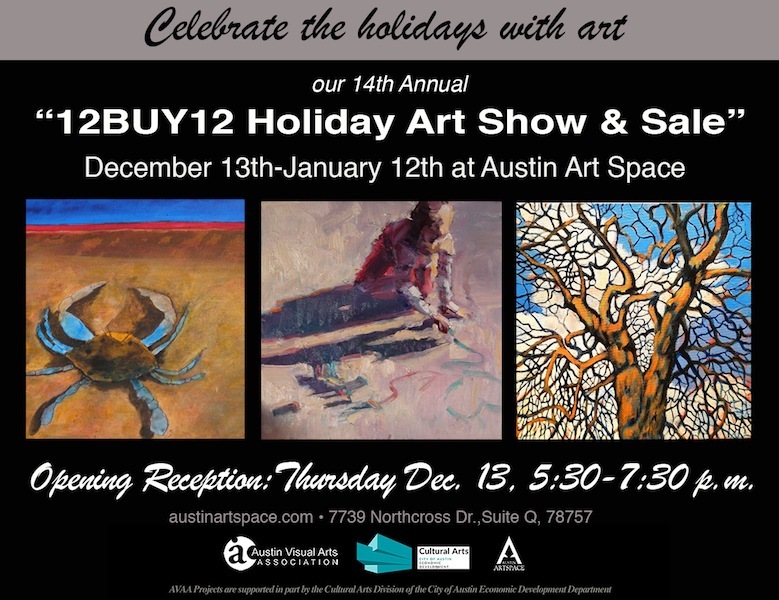 Please join us for the 14th Annual 12Buy12 Holiday Show and Sale at Austin ArtSpace. We are thrilled to have so many talented artists participating in this year’s show. Please consider purchasing a meaningful gift of art this holiday season and thank you for supporting local artists!